As long as there have been humans living in groups, there have been warning systems. Warnings for fire, for bad weather, calls for help from injured members of the group, and so on. These warnings have taken different forms over the centuries – from church bells and town criers to air raid sirens and TV broadcast messages. In the modern world, there are new, innovative ways in which information regarding emergencies and disasters is distributed to the masses, as well as low-tech ways in case digital isn’t possible. 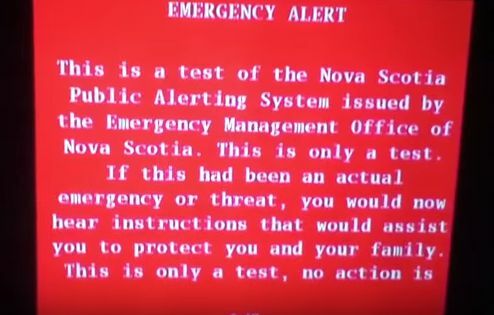 Alert Ready is the nationwide, emergency alert system in Canada. It operates in conjunction with The Weather Network and provides alerts on a variety of emergency scenarios, including floods, storms, terrorism, amber alerts, and animal danger. Their main methods for reaching the public include tv, radio, and other screens such as lottery terminals and video-on-demand. There is also an optional text alert, but there is a subscription fee involved. This system is designed to reach users through various means, mostly involving screens, which is effective for a portion of Canadian citizens, but not as large a percentage as one may have found in previous years. There is a decreasing number of people using televisions and radios, preferring to watch and listen to shows and music online. To reach younger citizens, the text alert should be included in phone plan subscriptions the way that 911 service is included, and not as an extra service. Fortunately, many other outlets are also looking out for users during disasters. In the modern world, when something bad happens, people tend to flock to social media to get details, check to see if anyone they know was there, and figure out whether it will affect them personally. Facebook recognized this trend, decided to be proactive about it, and Facebook Safety Check was born. 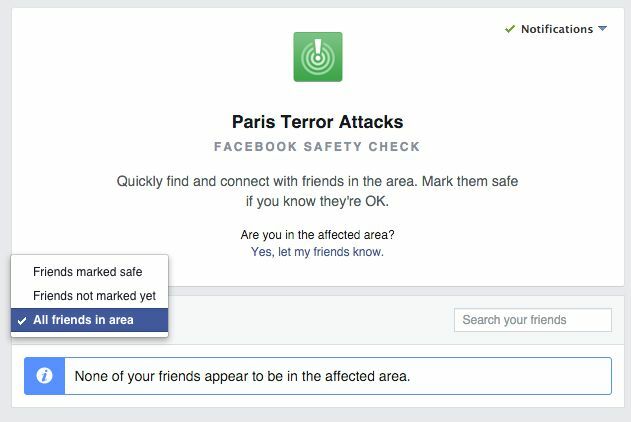 For those who aren’t aware, Facebook Safety Check, which was introduced in October of 2014, is a check-in system that recognizes if a user might be in an affected area- whether a disaster, conflict-ridden space, or other emergency situation- and the user can then say whether they are in that area, whether they are ok or not, and check the status of their friends as well. It is activated by Facebook on a case by case basis, and so far it has been activated over a dozen times for disasters such as the 2015 Nepal Earthquake, the 2015 Paris Attacks, and the 2016 Ataturk Airport bombing. There has been one incident of it being activated for people not in a disaster area, but no one was harmed by the mistake. This works well for reaching a fairly young group, but wouldn’t help with users over a certain age. 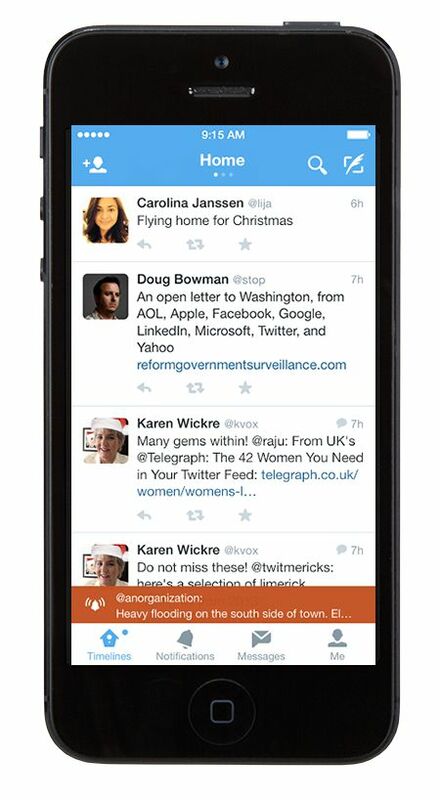 Similar to Facebook, Twitter saw that people would rush to post, search news, and contact friends and family in response to disasters, so they created Twitter Alerts, which allow safety and outreach organizations to send out important messages to all their subscribers in case of emergencies. Tweets from this service have a unique appearance so they stand out in the feeds, and there are also push notifications that will pop up to announce alerts that users have subscribed to on Twitter. Twitter has a wider following in terms of age groups, but still does not include those older generations that do not use newer technologies. It’s been brought up on many occasions that technology is great, but we can’t rely on it in an emergency situation. Many disasters cause electricity outages, downed phone lines and cell towers, and even internet service, making it difficult for people in those areas to communicate with themselves and the outside world. That is where Emergency.lu stands out from many of the other emergency technologies. 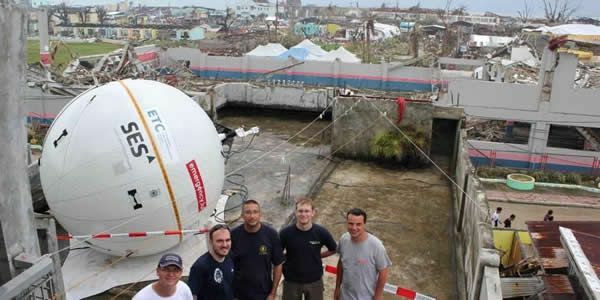 The Grand Duchy of Luxembourg, partnered with HITEC Luxembourg and SES, a world-leading satellite operator, created a satellite that can be quickly sent into a disaster zone within hours in order to bring high-quality Internet connectivity and low-bandwidth versions of Skype and Lync to areas where regular Internet connections have been downed. The system and satellite have been operational since 2011, and has been deployed in various places since then, including Nepal and Vanuatu, Mali, the Philippines, South Sudan, Venezuela, and Ebola-affected countries in West Africa. This technology is used primarily for emergency services to communicate with one another, but may also allow for general users to access services. In many disasters, roads and buildings become dangerous to navigate or are wiped out completely, making it difficult for first responders to get help to those who need it. Whether those people have ways to communicate with the outside world or not, their physical accessibility is still a problem. 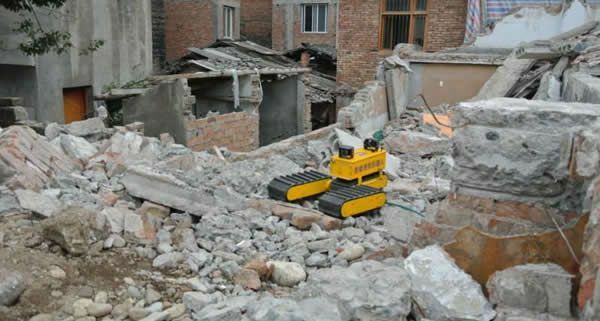 That is why robots and drones are now being routinely sent into disaster areas to locate, dig out, or provide medical supplies to those in inaccessible areas. now aware of their existence. Two-way communication through these devices doesn’t seem to be part of its make-up, but that may be added in the future to help with the rescue efforts. Sometimes the best method involves going low-tech, but in innovative ways. 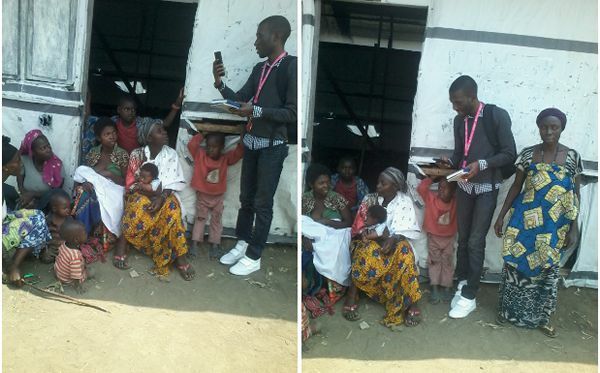 Refunite, for example, run the Refugees United call-center, toll-free telephone lines, and SMS messages so that people in refugee camps can reconnect with loved ones elsewhere in the world. This is, however, only low-tech at the point of use. The infrastructure to distribute, maintain, and support the call centre and messaging platform is using the the same security protocols and coding standards as we use in first world countries. Low tech needs to continue to exist and innovate because many disaster scenarios result in reduced or no infrastructure for high tech solutions. Internet, mobile phones, computers all run on electricity (or at least their batteries do), and when power is out for significant lengths of time, there still needs to be some way to communicate. What types of disasters are common in the area? What the technological infrastructure is in the area- do people have computers? Cell phones? Landlines? What emergency services exist in the area, if any? How do the majority of people communicate with their friends and family? Have they experienced disasters before? Do they know what to do in an emergency situation? What emergency communications already exist in the area, if any? How desensitized are the population to emergency announcements? What messages would they take more seriously? Building emergency alerts and systems based on the answers to the above questions will result in a more effective, location- specific tool for communicating during disasters, and hopefully help prevent loss of life through early warnings. 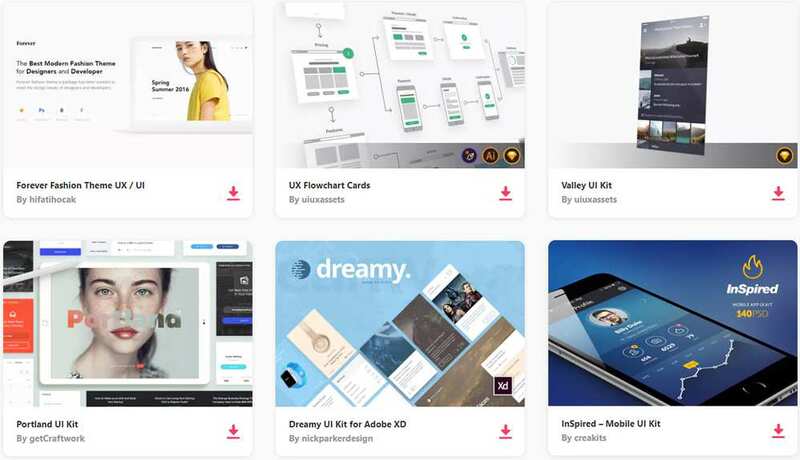 Want to join a group that uses UX and technology to help with disasters? Check out Crisis Commons and Ushadhidi, two organizations that are dedicated to contributing their skills to disaster scenarios, or check out your local Virtual Operations Support Team (or VOST). There’s also the option of getting a job in the disaster management industry- Springboard has a guide to getting UX careers which could help in the job search process.